Enjoy more of your favorite music, photos, movies and games on the go with a microSD card that expands your tablet's memory from 16GB to up to an additional 128GB.Make shareable moments better with the Galaxy Tab E's advanced camera features. Catch more in each photo with Panorama and Continuous Shot modes. Video chat from anywhere. And quickly toggle between camera and video modes. With the Galaxy Tab E, you won't miss a thing. 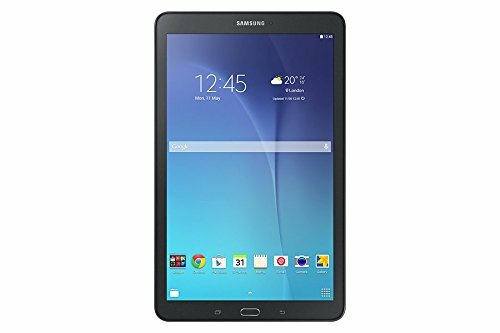 Samsung Galaxy Tab E, SM-T560 8GB Black 9.6" Wifi Tablet, International Model, No Warranty. This item is imported and may contain a foreign charger.